A line of Daisies sit in front of a rolling grassy hill. A butterfly flies by on a beautiful Spring day. A bright and colorful nature background for your greeting cards, wallpapers and outdoor themed projects. Download nature graphics for free in vector art format. Beautiful summer nature stock image for your vector images collection. 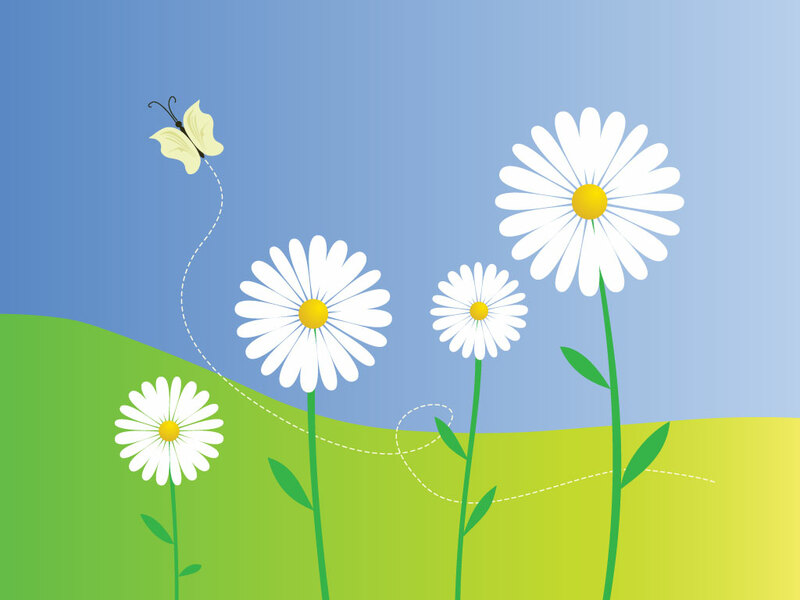 Tags: Butterfly, Daisy, Flowers, Grass, Petals, Sky, Spring, Summer.